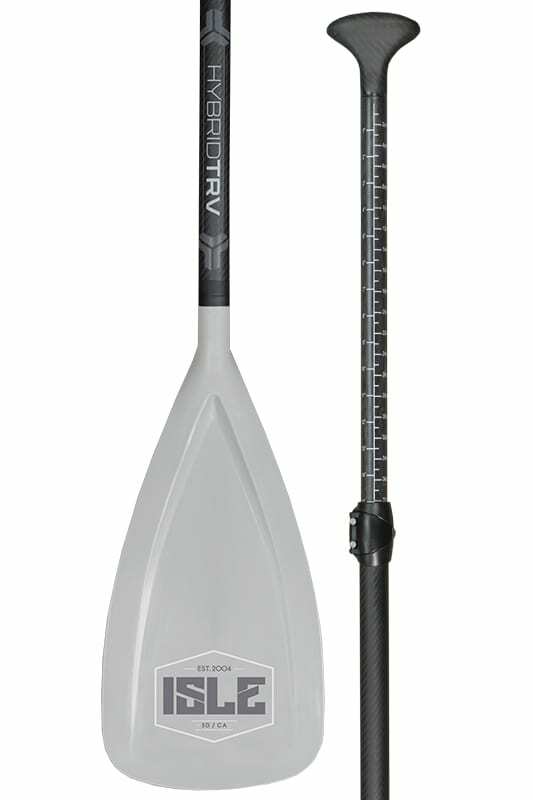 The perfect travel paddle – lightweight carbon that’s ideal for traveling since it breaks down into three easily transported pieces that can be placed inside any SUP travel bags for your next adventure. The ISLE Hybrid Carbon Fiber 3 Piece Adjustable Travel Paddle breaks down into 3 smaller pieces, so it can easily store in tight spaces. Great for travel! This model can be quickly adjusted from 67 inches to 84 inches, making it ideal for traveling with families and friends of different heights who want to share the same equipment. Just size and go!